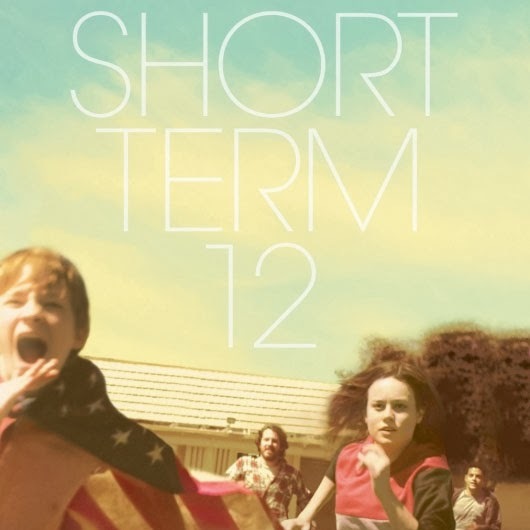 Short Term 12 might not be nominated for any Oscars, but it won a whole slew of other awards and has a 99% fresh rating on Rotten Tomatoes. That's with good reason: it's easily one of the best movies of the year. It tells the story of kids and caregivers at a foster-child facility in the States. And it'll hook you right from the opening scene. The performances from the whole cast are fantastic — especially caregivers played by Brie Larson (United States of Tara, Don Jon, Scott Pilgrim vs. The World) and John Gallagher Jr. (Jim on The Newsroom) along with the teenaged girl played by Kaitlyn Denver. It's sometimes sad and sometimes hilarious and always completely charming. Larson and Denver also play supporting roles in another one of 2013's best films: The Spectacular Now. The movie about two teenagers who fall for each other — played by Miles Teller (Rabbit Hole) and Shainlene Woodley (The Descendents) — might look like just another teenaged coming-of-age flick, but this one has more depth and maturity than the vast majority of movies about kids trying to find their way in the world. Maybe that's not surprising given that it's written by the same duo who wrote (500) Days of Summer. And while the Oscars might have overlooked The Spectacular Now, it has managed to earn plenty of other awards, including the Special Jury Award for Acting at Sundance. Speaking of charming movies about young people, Gimme The Loot follows two young graffiti artists in Queens. They decide they want to take a run at the holy grail of tagging targets — the big home run apple that pops up in the centrefield bleachers at Citi Field every time one of the Mets hits a homer — which sparks various schemes to get the money they need to pull it off. Kinda like a cross between How To Make It In America, Exit Through the Gift Shop, Hoop Dreams and Igby Goes Down all at the same time. With breakout performances by Tashiana Washington, Ty Hickson and Zoë Lescaze, plus a debut director in Adam Leon. Despite the lack of Oscar nominations, it's definitely one of the best movies of the year. So apparently we call this kind of movie "mumblecore"? Films with modest budgets and naturalistic dialogue, like Frances Ha, Your Sister's Sister, Jeff Who Lives At Home and Lena Dunham's Tiny Furniture. And they are indeed the kind of movie Drinking Buddies will remind you of. It stars Olivia Wilde (The O.C., Her) and Jake Johnson (New Girl, Safety Not Guaranteed) as friends who work together at a brewery. They're both in relationships — Wilde with Ron Livingston (Office Space) and Johnson with Anna Kendrick (everything awesome always) — but they spend plenty of time flirting. Sooo things get inevitably complicated. It's far from being as big and flashy as most of the Best Picture nominees, but it's also much more awesome. One of the most ambitious movies of the year is without a doubt the spectacular Italian film, The Great Beauty. It's like a 21st century version of Fellini's La Dolce Vita — all opulent parties and late night musing, glitz and glamour just a way of briefly escaping life's most unsettling questions. It stars Tony Servillo as the aging writer and critic Jep Gambardella, who has only ever written one book and is wrestling with memories of his youth. The Great Beauty actually did earn a nomination at this year's Oscars: it's up for Best Foreign Language Film but not for Best Picture. As usual, we're supposed to be believe that all of the best movies of the year just happened to be made in English. Meanwhile, it also seems silly that documentaries are stuck in their own little ghetto of a category. The Act of Killing is without a doubt one of the most memorable films of 2013, period. It's up for Best Documentary, but not Best Picture. It was filmed in Indonesia, where a repressive government is still in power after a long history of murdering those who oppose them. The filmmakers find some of the men responsible for the mass killings that took place in the 1960s — a million people died — and they ask the executioners to recreate the scenes of the murders they committed. The results are stunning. Another one of last year's most powerful — and upsetting — documentaries was Call Me Kuchu. In fact, it's one of the most disturbing documentaries I've ever seen. It tells the story of gay rights activists in Uganda, fighting for their lives in a country where homosexuality is seen as a crime worthy of hanging. The film centers around the incredibly warm and friendly David Kato. He will soon be bludgeoned to death with a hammer because he dares to stand up for his civil rights. At a time when Uganda is making the news again for passing ever more terrifyingly homophobic laws, it seems especially sad that the film didn't capture the Academy's attention. Waaaaaay on the other end of the movie spectrum, comedies also have a hard time breaking into the Best Picture category. I mean, This Is End clearly isn't going to change the world or teach us much of anything at all. But few films in 2013 were more fun to watch than the one in which Seth Rogen and Jay Baruchel try to survive the apocalypse at James Franco's house. It would be easy to dismiss An Adventure In Space and Time as something only Doctor Who fans would be interested in. It was released in conjunction with the 50th anniversary of the British science-fiction show and tells the story of its creation. But it's much more than fan-bait: it's an inspiring and heartbreaking drama. The people who developed the show back in 1963 were breaking all kinds of new ground: a Torontonian television executive with revolutionary ideas about storytelling; the first female producer at the BBC; the network's first Indian-born director (who also happened to be gay). And best of all: David Bradley's performance as William Hartnell, the show's first star, struggling to continue in the face of his failing memory and advancing years. Whether you're a Whovian or not, An Adventure In Space and Time is truly great.